I never got a chance to listen to “Open Fire” Amory’s first demo released a couple of years ago, but a few weeks back, these Swedish guys did what more bands performing old school heavy metal should do, contacted me to inform about their brand new demo recording. While I had in fact already seen the name around and visited their Bandcamp-site, I needed that extra kick up the arse (By the way,my two year old daughter told me it’s huge the other day) to sit down and actually listen to the four songs on offer. In the aforementioned conversation, names like Savage Grace and Agent Steel were dropped, and although all four tracks on this demo tape have strong melodic elements, this is not as superbly flowing melodic as these two acts. On the other hand, the way the band mixes thrash way with speed and heavy metal, reminds me a bit of another contemporary band who just released an album, Belgium’s Evil Invaders. 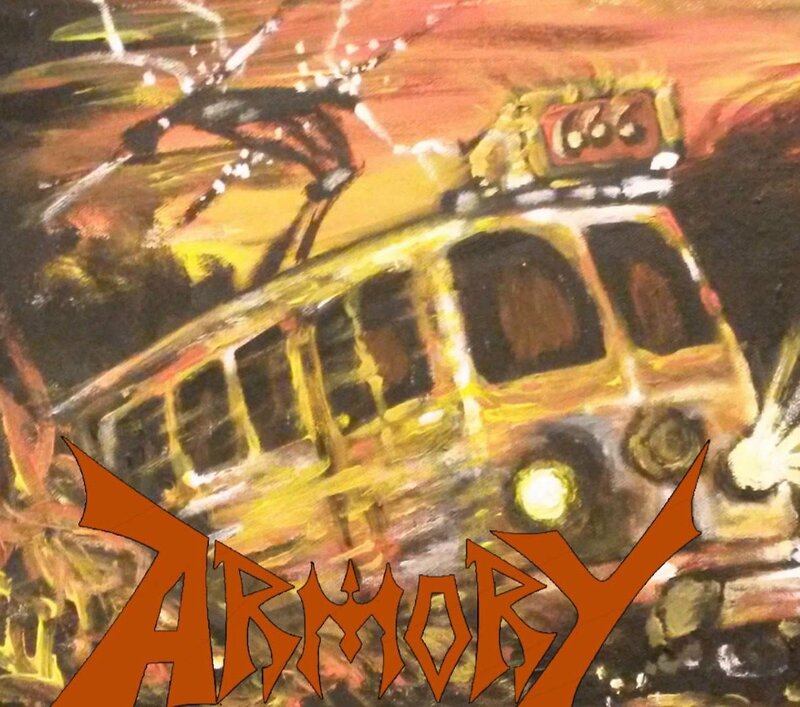 Amory is not as good yet, but they seem to base their music around similar ideas and ideals. While the title of the demo might seem cryptic, it’s all revealed during the chorus of the last track, where Konstapel P. helps us understand that it’s short for “Speed Metal Island”. This particular chorus is also where one of my main concerns about Armory sticks out. I have no problems at all with Konstapel P’s overall approach to signing, but when he wails or howls like he does here, it all sounds a bit silly. I don’t think it fits in with the rest of his aggressive performance, and not with the music either, for that matter. Luckily, this kind of vocal is restricted to a few of the choruses. Apart from the title track, where the vocals are a distraction (the rest of the song is rather cool), the material is clearly above average. Intense, fast, sweaty and dirty are just some keywords. The songs are intense and compact, the general tempo fast, and the solos even faster, while the overall feeling is sweaty and dirty. The more melodic side of the band is strongest throughout some of the verses, in for instance “Nightstalker” and “Alien Invasion”. While their songwriting is solid, the band should continue working on developing their own identity as there are quite a few bands doing a similar style at the moment. The newer Italian heavy metal bands relying mainly on the NWOBHM are often hit or miss with me. I love a band like Ruler (although they have a strong US influence as well), while stuff like Nitehawks and Gengis Khan left me dead cold. 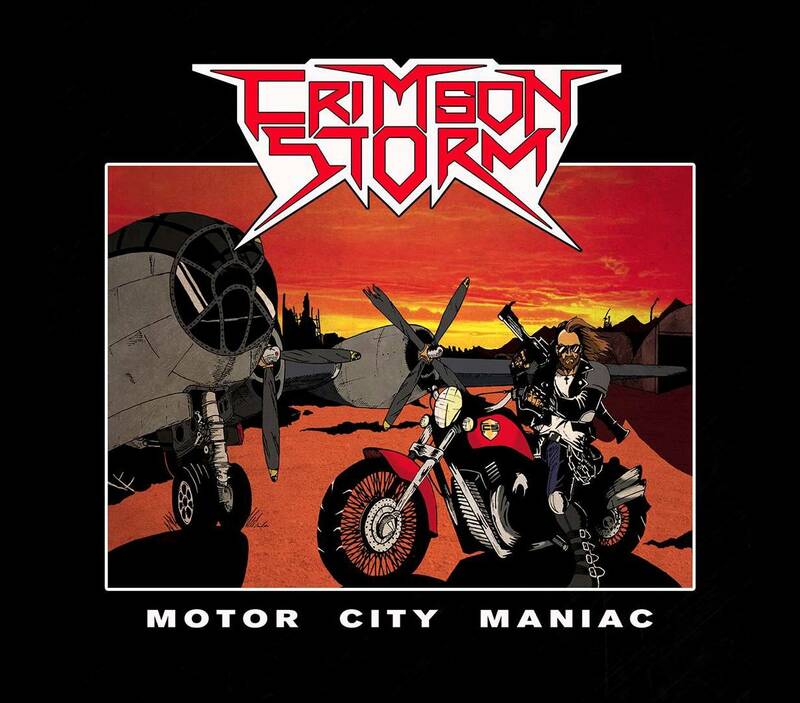 Swords & Chains have just released Crimson Storm’s demo “Motor City Maniac” on tape, limited to only 100 copies. Apparently the same material was released on CD by the band late last year, but as that release passed me by completely, I use this opportunity to say a few words about this “Motor City Maniac”. The quartet, formed in 2009, hailing from the island of Sardinia, is completely unknown to me, but judging from the name, I wonder if the singer Hans Andersen might be Norwegian or Danish. If that is his real name, that is. “Motor City Maniac”, the title alone almost defines the musical content. This is fast, energetic and raw heavy metal, free from other influences, apart from a little punk, but that’s were the NWOBHM came from, isn’t it? The vocals are very unpolished and rather wild at times, just listen to the last track, “Heavy Metal Thunder”. None of the four tracks on offer here, are outstanding by any means, but I can enjoy the rocking title track with vocals that are all over the place. “Saigon Boulevard Dreams” is the song that stands out most, not only due to the title, but also because it is more midtempo oriented, and sounds a little more relaxed and melodic than the rest. Overall, the guitars are sharp and the overall sound naked and authentic. The band definitely needs to work on their identity, as this material, both riff wise and when it comes to the gang choruses, could stem from pretty much every new straight heavy metal-band out there. There is not a lot about the songs that scream “Crimson Storm”, if you know what I mean. While I do appreciate this tape as an honest effort, I don’t feel Crimson Storm is a band that is ripe for a full length just yet. This tape contains an intro and four long tracks, ranging from six to around nine and a half minutes. The material on this cassette was recorded back in April 2013, and to be honest it has been available on CD-format directly from the band since later that year. However, this tape only- release through Shadow Kingdom should lead to wider distribution, even though the release is limited to just 100 copies. “Neverland”, the first real song after the intro, has some nice moments, especially when it comes to the guitar work, but is a bit overlong, and features some predictable gang vocals during the rather lame chorus. The song structure itself, leans towards slightly progressive US metal with some time changes and drawn out, instrumental sections. However, there are some differences, as a lot of US metal bands have a front man with an impressive, high pitched, glass-shattering voice. 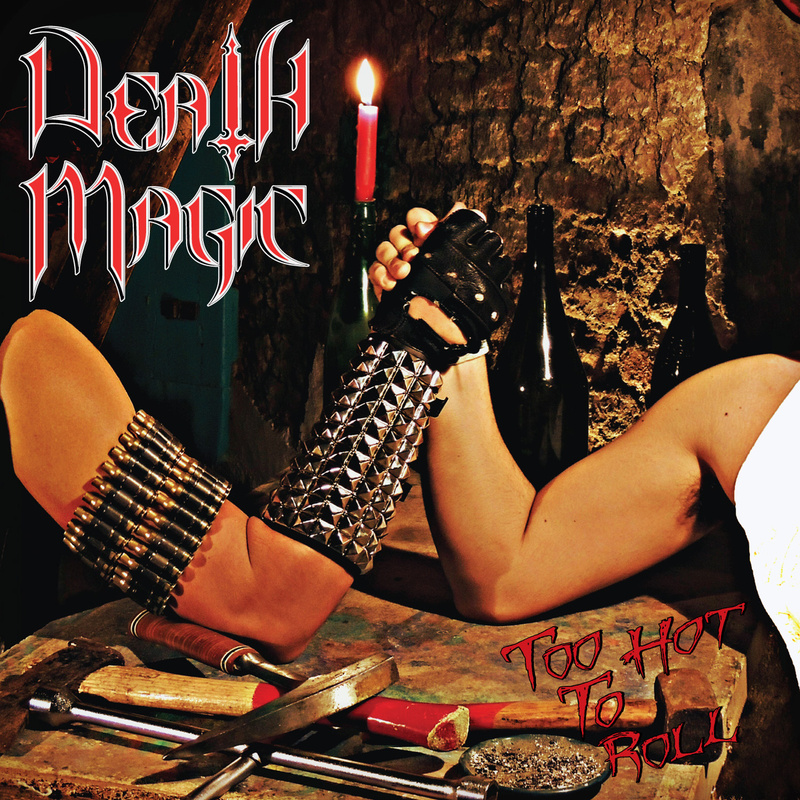 The vocals in Death Magic is simply not convincing enough. First the voice of Mattia Scifo, even though it is rather high pitched, is flat and unspectacular. Also, the accent is pretty heavy, so without looking at the lyrics (which to be fair, are printed in the booklet) you will have a hard time deciphering what he is singing about. Last, but not least, some of the vocal lines seem rather odd and should be worked on to create more fluency. The line “I Can See Through These…” in “Thunders And Fire” is just one example. “Street Killer” kicks off with more of the gang backing vocals, and you start wonder if the band should either scrap these completely or work more on them to get them to sound better. The tempo is high, close to what some people will call speed metal, and you’ll hear traces of several US metal bands which in turn are strongly influenced by Iron Maiden in this tune. The title track is closing this tape, and it’s the rockiest track on offer, again with some rather strange vocal lines paired with pretty lame gang vocals. Although this release is enjoyable to some extent, mainly because Death Magic does things a bit differently from many of the young metal bands coming through at the moment, and because of the shredding guitar work, I feel the band still has a way to go and some work to do before they’re ready to unleash their first full length. I guess the fact that the tape is still available from the label, even though it was such a limited run, somehow underlines my point. Deathman is a new metal band from Östersund in Sweden featuring a rhythm section consisting of the Låsgårdh-brothers, Henrik and August, who are both in the thrash metal band Hypertension as well. In Deathman they hook up with singer and guitarist Dennis Eriksson and guitarist Ludvig Gustavsson. The tape has a very high do it yourself-factor, with a hand cut cover and an amateurish and naïve cover art, and also the music shows true passion for the ancient art of early heavy metal. Musically, the three tracks sound very old school, and bring back strong memories of early to mid-eighties Swedish metal. In many ways it could be some unheard material lifted from an obscure demo released during the golden era. One element that sounds very Swedish,is the laidback vocals of Eriksson. Overall, the vocals sound a little tired and uninspired, and you can hear he is struggling a little when he pushes his voice that little extra bit. The music is not very aggressive, and while I would have loved a bit more spark and energy personally, I guess this is the way the band want it. Also, I can’t deny that it all sounds quite charming, and in many ways that little bit different compared to what many bands do today. The songs are a little too similar in atmosphere, as they all have this melancholic touch, provided mainly by the relaxed vocals, but also the melodies. There is not a lot that sticks out here, but the whole affair is enjoyable nevertheless. Swedish heavy metal is mentioned a couple of times already, but of course there are distinct NWOBHM-influences as well, in “Bells Of Doom” for instance. There are no big choruses to be found, but they are all well integrated and functional parts of the songs. The recording has a varm authentic sound, where things sound crisp, although not crystal clear. The instruments have room to breathe, and the whole thing is in Clear contrast to this massive, overproduced, modern sound that many bands have today. While the three songs on here work rather well together, a full length really needs to be a bit more diverse.The tape was originally released in very limited quantities by Lockyard, but if I am not completely wrong, it will be soon rereleased by the Australia’s Heavy Chains. Herzel from France is, along with acts like Terminus, Ravensire and Eternal Champion part of a new generation of epic metal bands. While some of these bands are delivering their epic metal the brutal, raw and barbaric way, Herzel’s approach is more similar to classic acts like Warlord and Medieval Steel as they rely a lot on a majestic atmosphere that is more relaxed and melodic than aggressive and attacking. The guitar melodies are distinct, and sometimes with a little Celtic touch. The guitar work and the sound is quite clearly influenced by Bill Tsamis’ work , with the instrument very much upfront creating melodic leads along those crystal clear, dreamy lines. “Unis Dans La Gloire” is a brand new tape containing an intro, excitingly titled…”Intro” as well as two quite long songs, the title track, as well as “Nominoë”, resulting in a combined playing time of around a quarter of an hour. Both songs grow with pretty much each listen as they’re not designed for easy and fast consumption. Instead we get two midtempo based, diverse tracks which evolve as they move along without losing the red thread. Even though the overall impression is that this is a rather mellow version of epic metal, without the rough edges of Ironsword or Ravensire, there are still some heavy riffs to be found in both of the tracks. The lyrics are in French, as they are in pretty much every interesting French heavy metal band, adding a bit of an exotic element. The singer has a mid range voice, but he adds some high screams here and there to great effect. While he works well in these surroundings, he is not destined to floor anyone that listens to these couple of tracks. When he sings, his voice is very much upfront, while the guitar takes a similar position when he’s not singing. The overall sound could have been a bit beefier and more powerful, but I believe the result the band wanted to achieve, is pretty much what they got. I sense that there is a clear thought behind the way the band sounds. 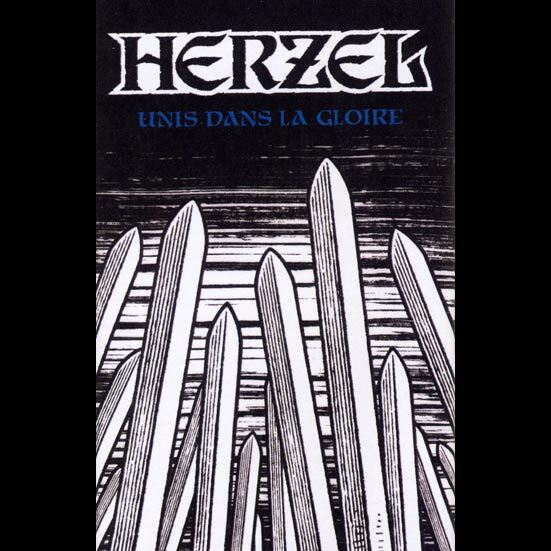 Apart from the fact that you seldom hear French bands with lyrics in French performing this kind of music, Herzel doesn’t bring a lot of new things to the table. But for me that is fine, as long as the music both touches me and nails me to the chair. Herzel is definitely one to follow. Voltax and Split Heaven are two Mexican bands with some moderate success. Especially the former deserves more attention, as their last album “Hiding Into Flames” was simply excellent. 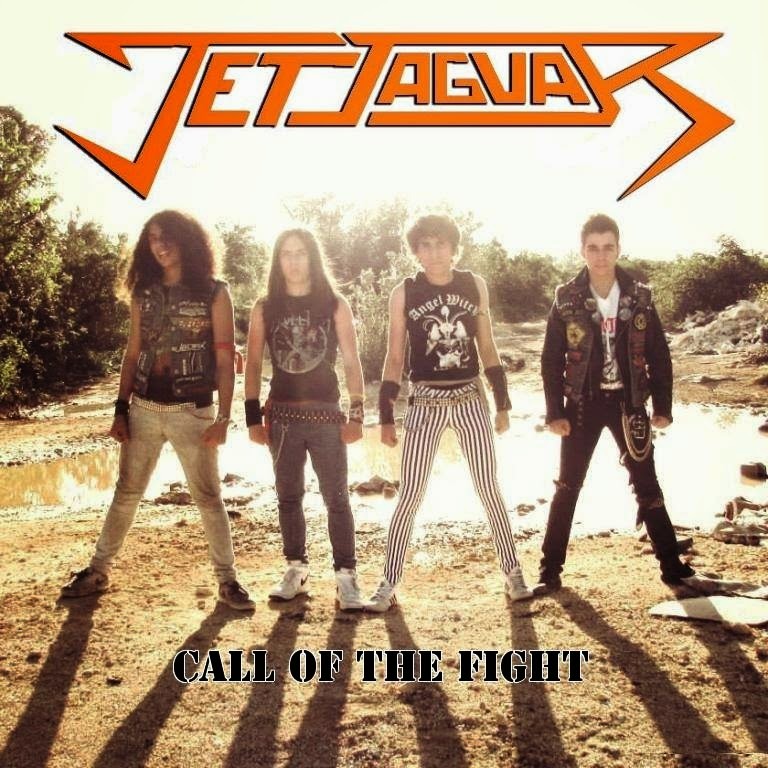 Jet Jaguar is another new Mexican hope, and they have put together four decent heavy metal songs comparable to many of the new bands clearly inspired by the NWOBHM. After first being available as CD-R only, the songs have been put out on tape, with the band even adding a bonus track. Musically it has all been done before, and it has all been done by bands with way bigger song writing skills fronted by singers with bigger balls. There is a certain charm attached to the four songs, but listening to the tape, one song after the other passes by without leaving a real impression. It sounds a little too flat and lightweight and the vocals of Jorge Ramirez are nowhere near strong enough to be the main focal point. There is no real power behind his delivery, and he is not able to take control of the songs and guide them along as an experienced and potent heavy metal shouter would do. His voice is not very prominent in the mix either. The band should also work hard on establishing a stronger identity. The solos are quite melodic, and overall pretty cool (listen to “The Hunter” for instance), but the energy level should definitely be higher. The band seems to be honest about what they’re doing, but the songwriting skills need to impove, as the title track is just run of the mill stuff, without real hooks. For a demo, the sound is about average, and a bigger production while maintaining the spontaneous feel, should lift an album. I also like how the bass sound, very Steve Harris-inspired it seems. Fave song: “Rockshot”. I got hold of this demo some time ago, and I have to say it’s nothing less than a catastrophe that I haven’t been able to listen to it in its entirety until now. I understand that “The Enigma Of Time” is the second demo from this Finnish band, and I guess you, as I did, failed to hear the first one when it was released. Unfortunately, the tape version of “The Enigma Of Time” was limited to 100 pieces, and according to the band’s Bandcamp site those have been gone for a while now. As for now, the only way to get this demo (as well as the first one it seems), is to grab the digital version from Bandcamp. You can even name your own price, so there is no reason to dwell on this one, at least if you like fast heavy metal with some blistering dual guitarwork. The recording sounds very rough, and everyone that owns the full Dream Theater-catalogue will surely turn this off only a few minutes into the opener, “The Guardian”. Musically, this leans towards US metal bands like early Slough Feg (the instrumental “Zeta Reticuli” for instance) and maybe Brocas Helm, but I even hear some hints towards old Helloween here and there. The drums don’t carry a lot of power and the guitar sound is pretty thin, but nevertheless it’s easy to spot the potential and completely impossible not to hear that the guys had a lot of fun when they performed these four very raw sounding tracks.There are a lot of really good ideas here, and when I listen to the demo, I am 100 percent that these guys are into this music for all the right reasons. This is totally uncommercial sounding stuff, played with conviction straight from the heart. When it comes to the future, I for sure don’t want to hear this band with a polished and sterile production. What the band should try to do next time, when I expect them to step out of their rehearsal space and into a real studio, is to keep the rough edges, but bring the vocals a bit more to the front as they are somewhat buried on “The Enigma Of Time”. To get this to work, I guess Aku’s vocals need to improve. They are not by any means impressive, sounding a little uninspired and flat, but at least to me, they work in context with the rough and raw musical expression of Legionaire. This German trio has received many kind words from reviewers, especially in their home country, but I have also seen people in the underground scene questioning the musical content here. So where am I? Somewhere in between, I guess. I don’t really hear anything special here, but at the same time, there are definitely worse demos hitting my mailbox. The opening song, “Vigo Von Homburg Deutschendorf” has a great, heavy groove, and is overall really catchy, but I am a bit unsure of the self made samplings, sound effects and stuff the band is using. Already in this number, it’s clear to me what should be the band’s main task when it comes to future songwriting: To tighten up their songs, scrap the nonsense and focus on bringing out the very best of their song ideas. And yes, I almost forgot: I am not too fond of keyboards in this type of music, and here they are often dwelling in the background, filling out the sound, but taking away some of the rawness at the same time. The atmosphere on “Under Carpathian Sun” takes some time getting used to, and to be honest, I am not there yet, and I doubt if I ever will be. 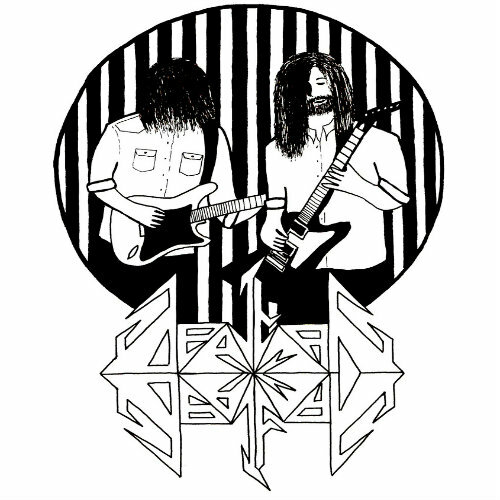 Patrick Fuchs, the singer from the extremely mediocre Hammer King is involved, but “only” as guitarist and bassist, as vocal duties are handled by Vinz Clortho who is also the drummer in the band. He has a towering, quite powerful voice that fits the music well, and it should be pretty interesting seeing and hearing him in a live setting. 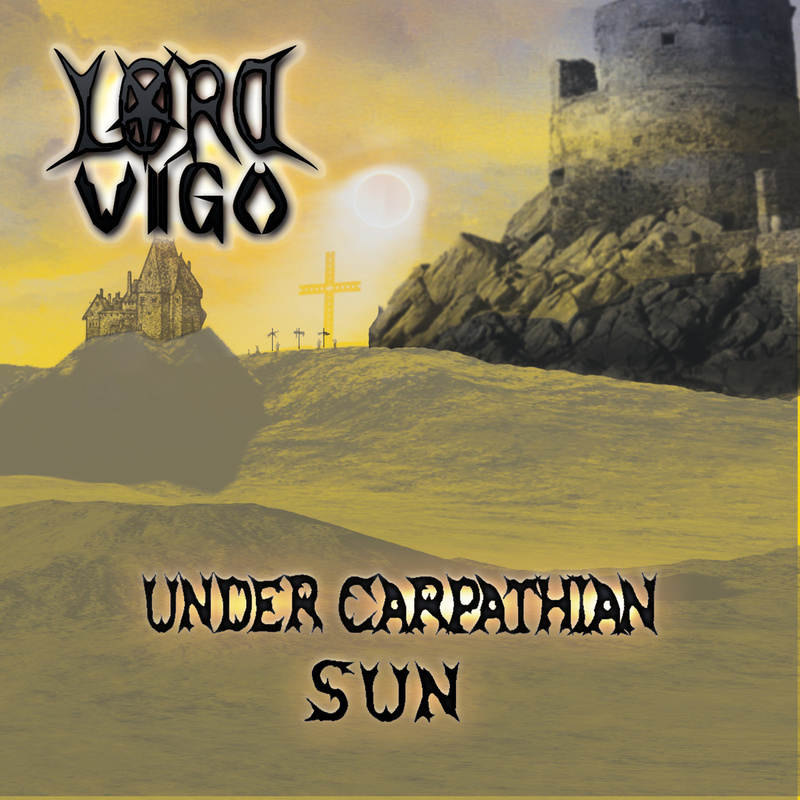 Lord Vigo is definitely no bleak copy of other acts, although you can hear stuff here that reminds you of epic doom metal giants like Solitude Aeturnus and Candlemass. They do things their own way, mainly by incorporating som pretty unusual elements, not only the standard up tempo heavy metal-parts, but also elements that make you think of…well…gothic metal. I you weren’t able to grab a copy of the tape, don’t worry as No Remorse out of Greece will release these songs along with a couple of new tracks as an album very soon. If the band can steer clear of the spoken parts and and tidy up some of the arrangements, Lord Vigo might be worth spending time with in the future. I am a huge fan of Sinister Realm. In fact, I think they are one of the really underrated bands of our age. For some time I feared that the band was history, partly due to Majesty In Ruin, a new doom metal project featuring the man with the terrific song writing skills in Sinister Realm, John Gaffney. As news of a new album being recorded by Sinister Realm was unveiled a short time ago, it seems like the bands can exist side by side. Fortunately. In Majesty In Ruin, Gaffney is joined by singer Rich McCoy. I have to admit, I wasn’t expecting this kind of vocal performance. He his voice is towering, crystal clear, and his approach commanding, in the sense that he takes hold of the songs and shapes them with his vocals. On this recording the duo is joined by drummer and former Sinister Realm-member Darin McCloskeyand guitarist Greg Diener (Pale Divine, ex-Beelzefuzz) who is contributing a few quality solos while Gaffney himself is handling the rhythm guitar. “All Light Shall Fade…” is a very professional, varm sounding recording, packed with heavy, crushing riffs contributing to an epic atmosphere similar to Candlemass or Solitude Aeturnus. With Gaffney involved, it comes as no surprise that the bass has a rather prominent position in the sound, both when the band rocks out and when things are slowed and toned down for quieter passages. This demo contains three long songs, with “Remembrance” the shortest one, clocking in at six minutes. This a very beautiful piece that has slowly become my favourite on this tape. The vocal performance in this one is very emotional and the song more stripped down compared to the two other tracks, but still, some sorrowful, heavier riffs appear in the mid section of this one as well, climaxing in a really beautiful last two minutes or so that recalls While Heaven Wept. 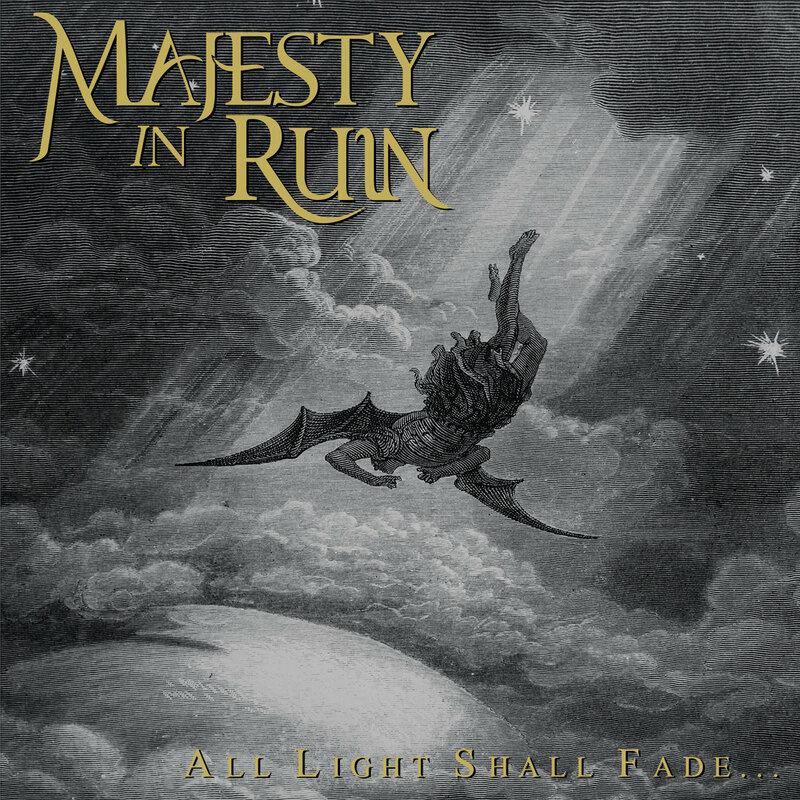 Majesty In Ruin delivers some classy doom metal stuff with dynamic songs containing slow and calm parts as well as heavy rifforama. “Mother Of Desire” is the most powerful song on offer here, with some parts where a bit of pace is injected while “The Lamp Of Invisible Light” seems a bit overlong, although I enjoy the heavier parts of it. Apart from that, my minor criticism is that the sound and songwriting offers very few surprises and that the choruses maybe could have been a little stronger. I really look forward to the full length! I originally wanted to order a copy of this demo, as I prefer to check out new and upcoming acts as far away from my computer as possible. When the band insisted on sending it to me for free to get an honest opinion about it, I gladly accepted. “Endless Power” is released as a silver pressed CD in a cardboard sleeve, just like the ones me and fellow writers used to get high stacks of before everyone started doing digital promos. Even though I see the advantages by releasing a CD this way, for instance to keep postage costs at a decent level, the overall impression would have been even better if it was packaged as CD’s usually come, with a booklet and a back insert. Especially as”Endless Power” contains six songs and have a playing time of around 29 minutes. When I received this demo, I soon realized the quintet had found a fitting name for their band, as listening to the demo felt like journey that really made an impact. The recording sounds very good, with powerful guitar and pounding drums. Played at a decent volume, this demo sounds just as great, if not better than many ordinary CD-releases these days. The singer, Johannes Korda (who sung with Atlantean Kodex for a couple of liveshows some years ago) has a lot of identity, and the steady riffing is quite impressive throughout most of the six tracks. 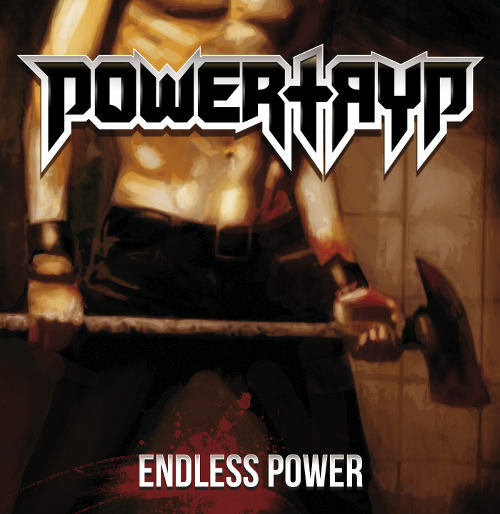 Although there are shorter sequences where you can hear that the band is German, Powertryp seems to be mostly inspired by US metal. However, they sound just as much like something that could come out during the nineties as an eighties band. I’ve seen Armored Saint mentioned, and in some ways the comparison is valid. I can easily see those guys churning out a few of the riffs on offer here, and I have no problem picturing John Bush belting out a few of Korda’s lines either. A lot of people seemed to love the Savage Master-album. I thought it was more than decent too, but would the band have gained the same attention with a different image? Well, I am not sure about that. 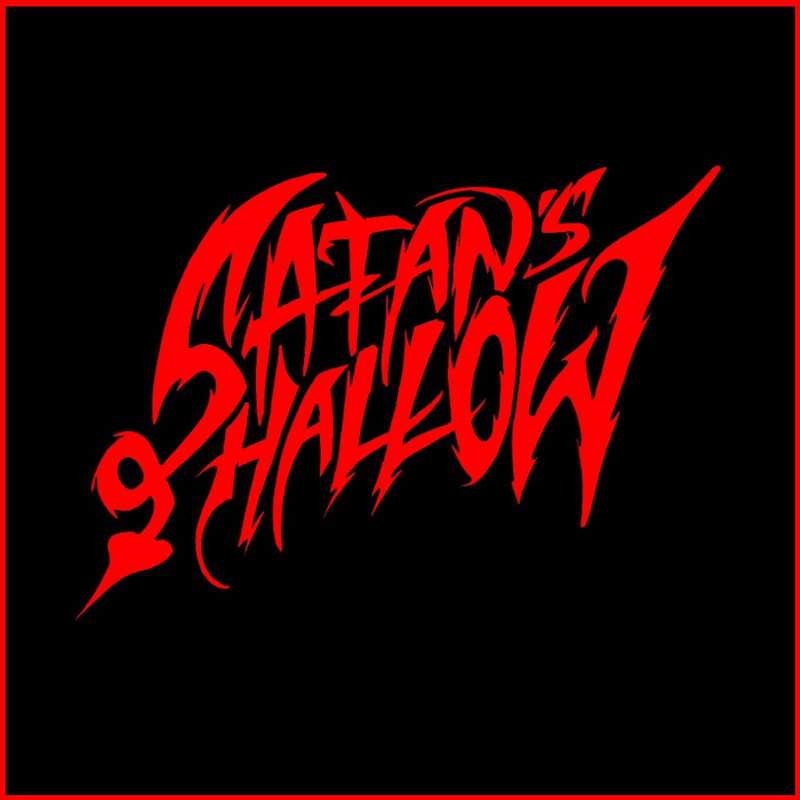 Satan’s Hallow is a pretty new Chicago-based metal band, but in its ranks the band has some experienced musicians from the area. The quintet seems to take a different approach than their Louisville-counterparts when it comes to the image and the stage presence. If the early rough footage that floats around is representative for what to expect, that is. For once we have a front woman that seems to rely mostly on her voice, and what a voice Mandy Martillo is in possession of! She proves that as a female singer you don’t have to scream or snarl, even if you sing in a straight up heavy metal-band. Judging from this recording, she hasn’t been doing anything else than singing heavy metal all her life, but I am pretty sure that isn’t the case. Her vocals are never forced, sounding very natural and controlled, adding a nice sense of flow to the two tracks on offer here. I’ve lost count of how many times I have played “The Horror” and “Satan’s Hallow” since I got my hands on them some weeks back, but I guess it says a lot that I have come to a point where it feels like “The Horror” especially, has been with me more or less since I started listening to heavy metal. What a classic tune! Had this one been penned during the eighties, every so called metal-DJ would have played it at parties or before gigs, and it would have passed the 100 000 times viewed-limit on YouTube. Joke aside, this song is really a timeless first class heavy metal-ripper. Uptempo, but not exactly fast, with a great, heavy main riff, driving drums, some no frills-soloing and catchy vocal lines. Simply put, this is the stuff we live for, and the stuff we’re prepared to die for. Would it have been as impressive with male vocals? I don’t think so. “Satan’s Hallow” is a bit slower, with yet another heavy main riff. Again we get some vocal lines that really stick in your head, and I’ve grown to like it nearly as much as “The Horror”. These two tunes, which so far is only released digitally, will soon see the light of day on two different formats. 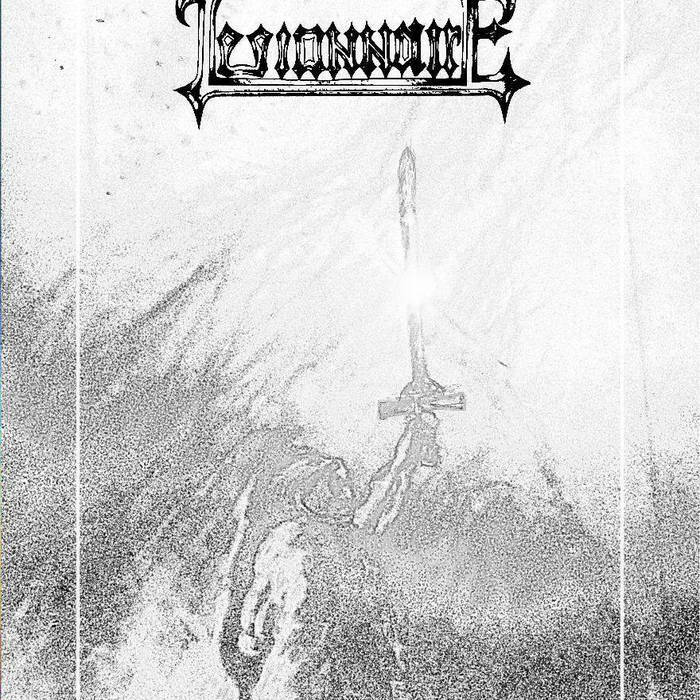 First out is a very limited tape release through the excellent Sword & Chains Records, which granted us some already classic tape releases in form of Visigoth, Eternal Champion and Walpyrgus to name just a few. Then the songs will be pressed on vinyl on the German label, Underground Power. Do yourself a favor and grab one of these! While “Between The Devil And The Deep Blue Sea” was released medio December last year, I have decided to include it here among the 2015 reviews. A sorry goes out to the band for taking so long to get this review done. The titletrack starts off this demo with a bass intro so similar to the one in Running Wild’s classic “Conquistadors”that it simply has to be considered a tribute. At the same time it also manifests what is the main influence for this Italian guys. This four track demo sounds a lot like Running Wild. Its all neat and tidy, and if this had been released through the nineties, Silverbones would probably have received some attention, as there weren’t too many bands trying to recreate the magic of Rock’n Rolf and his constantly changing allies. Today, there still aren’t that many bands citing Running Wild as their main influence, something that is a bit surprising, as the band, at their prime, is close to unbeatable. Just check the picture used at the top of Metal Squadron’s main page to get an idea of how important this band has been for me. 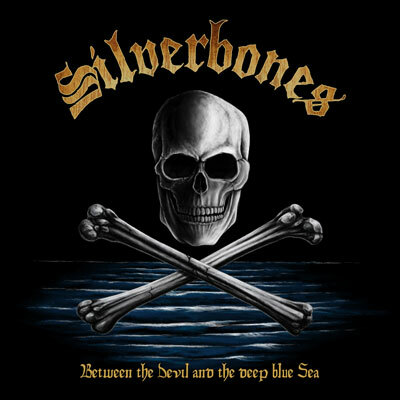 So is Silverbones relevant today? Well, with Blazon Stone, the ultimate Running Wild-worship band entering the scene a few years ago, I am not so sure. If some people can question the existence of one Running Wild-copy band, there are certainly questions to be raised about another, and considerably weaker one. The intro aside, we have three tracks with vocals here. “Royal Tyrants” and “Queen Anne’s Revenge” are both titles that doesn’t weaken the link to Running Wild, while the last track is called “Wicked Kings”. None of them are as speedy as some Running Wild-numbers are, and none of them sound as powerful. Also the vocals are a far cry from the commanding voice of Rock’n Rolf. They are simply a bit to weak to gain complete control of the ship. Containing some neat riffs and melodies, the three songs are not bad, but I think the band either needs to up their game considerably to be considered relevant as a Running Wild-copy band, or drop the most obvious references to the Metal Pirates and start injecting more of their own ideas and identity into the sound. Don’t worry, the band name is spelled without a c, and the band is from Oregon in the US, not Düsseldorf in Germany. Yeah, I know I used the word “band”, but Warlok is mostly about one guy, Matthew Edwards. On this three tracker, recently released on tape by Swords & Chains Records, he is only helped out during the solo of the opener “Night Rider” by Nikki Krimson from Sanctifyre. A pretty shredding solo, by the way. The song is an up tempo, melodic toe tapper and a great way to start the demo. 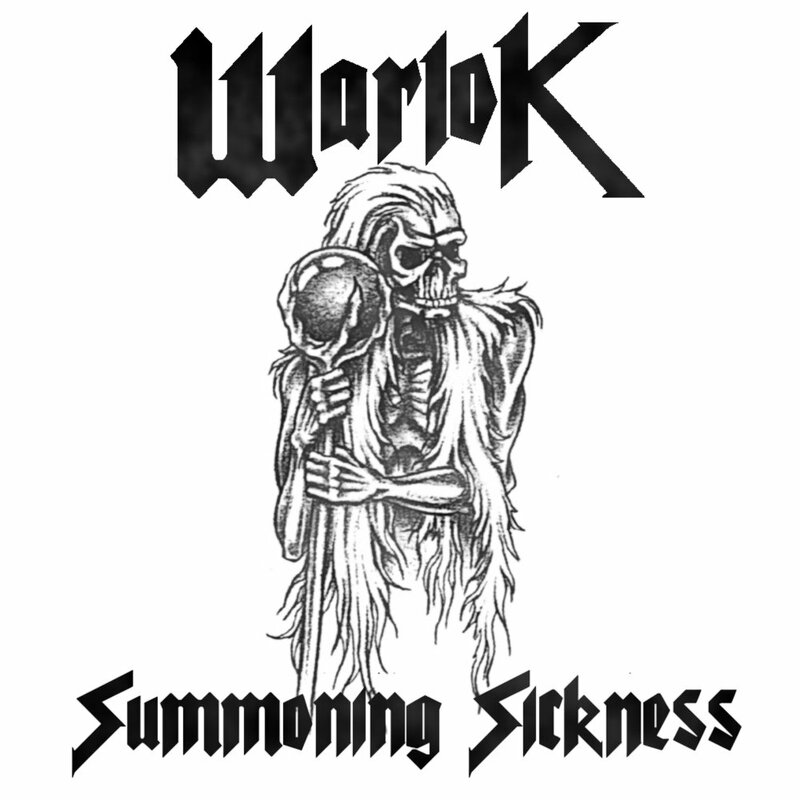 Even though the last track, “Judgement Bell”, also have some of those moments, the opener is Warlok as aggressive as they get on “Summoning Sickness, but at the same time with some cool melodic guitar work and a solid chorus. The second song, “Summoning Sickness” is darker, more diverse and slower compared to the first song, and works well in breaking up the two slightly more aggressive tracks on the album. Well, at least “Judgement Bell” starts out aggressively, but again the guitars are melodic, and the chorus very well done. The songs itself, is also a lot more laidback than the opening seconds suggests. To sum up, while none of the songs will blow your head off, they show consistency and some mature songwriting. Warlok is all about good, traditional metal, done the American way. As I already said, the material is pretty interesting and fresh, with an emphasis on riffs and strong hooks. Edward’s vocals are controlled, and pleasant, as he operates mainly in a laidback midrange. There is a lot of potential contained on this demo, but better sounding drums should be a priority next time around. It might mean that Edwards will have to let go of some of the control, but the end result should only profit from it. As with Terminus, I was a bit reluctant to review this one, as I had it streaming from my site, and some people could question my reliability. I have decided that I can easily live with that, and most important; this demo deserves a few words. 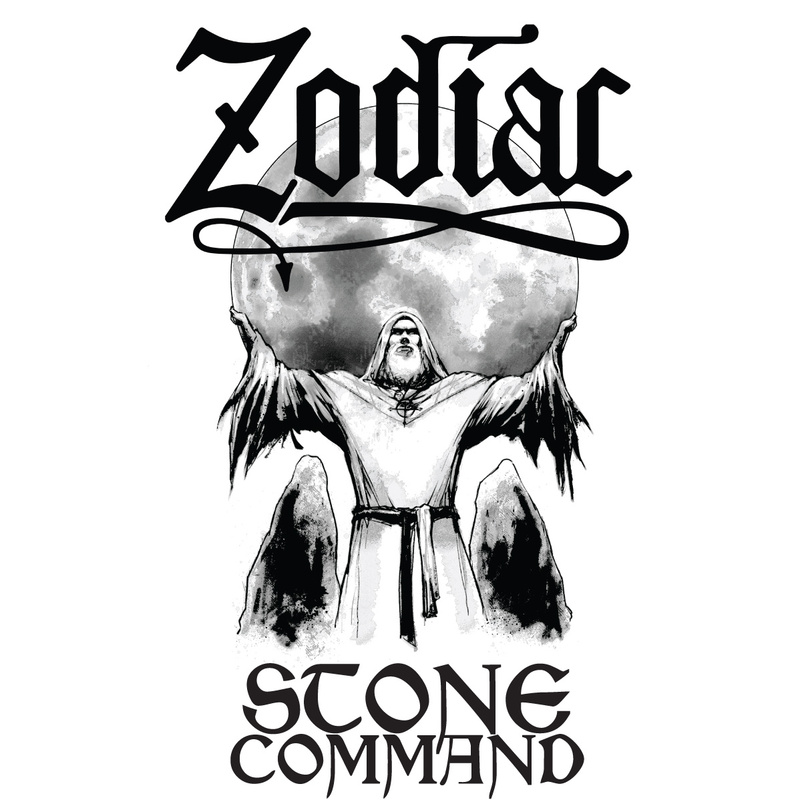 As I will never put something I don’t like up for streaming at my site, you should know by now that my words about “Stone Command” will be positive ones. The demo contains three songs, and as mentioned in the interview, the recordings were at just meant to be demos for the forthcoming album, but the quality was so good, the band decided to release the recordings to the public. Another reason to get this demo is the fact that the song “The Noose” will not feature on the album after all. For what I know, it might turn out to be exclusive for this tape. The style is what I would refer to as epic doom metal with a quite distinct heavy metal influence, easily spotted in the guitar harmonies for instance. The recording sounds really massive for what it is, with drums and bass supplying a really heavy fundament for the guitars often belting out power riffs in the vein of Trouble. The songs feel naked somehow, and listening to them is a little like standing in front of the stage watching the band. The leads are literally screaming at your face and the riffs are damn heavy. The vocals of Ben Peters are powerful and have that little bit of weird craziness which give them character enough to stand out, even though I am pretty sure he has listened closely to the vocals on numerous Pentagram- and Saint Vitus-albums. “The Noose” is the fastest song on offer here, and even if this one won’t feature on the band’s forthcoming debut album, I know that there will be other fast tunes too look forward to. A bit of diversity is something I appreciate on a doom metal-album, and I even think the band has managed to create it here, within the space of just three songs. The tracks are distinctively different, both when it comes to arrangements and tempos, from “The Noose” which picks up speed halfway through to “The Legacy”, which is the slowest and longest song with some absolutely crushing riffs and an atmosphere that reminds me a little of Warning. Not a bad thing, and this little tape is for sure one you should add to your collection. The debut album can’t come soon enough!